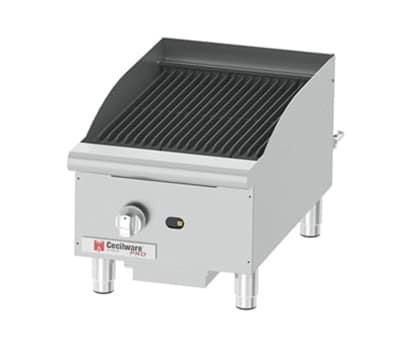 The Cecilware Pro Charbroiler is a gas-fueled countertop charbroiler with a 15 by 20 inch cooking area that will allow you to grill meats, seafood and vegetables without the need for a full-sized grill. The stainless steel construction and cast iron grates make this grill durable and able to stand up to heavy use. The single burner with manual control gives the chef precise heat control and the grates can be tilted to different levels for even more cooking control.